Comunitee, is an all-in-one social news application for your iPhone. It will find you news to read and share that suits your needs. The more you use it the better it understands and returns relevant articles. No longer will you have to open up multiple different news applications or manage multiple RSS feeds, Comunitee does all of this for you. It has been called the “Instagram of News” and is worth checking out if you are constantly using your iPhone to check multiple news feeds. Since Comunitee is a social app, you will want to connect with your friends. The more people you connect with that have similar interests, the more relevant your news discovery will be. If for some reason you are not happy with the top stories that show up on your screen you can always do a custom search, view Editor’s Picks, view your Interest Feed, or view your Comunitee Feed. Custom searches allow you to search news or friends. Just type in your search term and then select your category (Entertainment, Tech, Politics, Sports, US, World, Business, Health, Lifestyle and Women news). Comunitee will then search through all the major news sources and display relevant articles based on your search. Editor’s Picks, will be the top stories from the editors, and Comunitee Feed will allow you to see what your friends are reading. The most common way of hearing about certain news events is by talking to friends and family and social sites are providing the means for people to communicate and share information. Having an application that allows you to share end explore all the current and interesting stories catered to you is a quick and easy way to get your daily dose of gossip and current events. Unfortunately this is only and iPhone application and there is so support for the iPad at the moment. Hopefully this will come very soon so we can take advantage of the iPad’s larger screen. 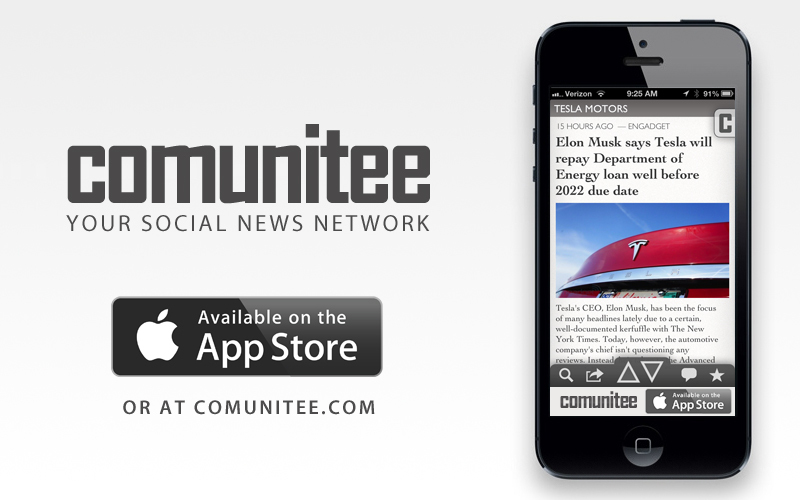 Comunitee is a free application on the Apple App Store. Check it out today and start enjoying your news. More info at http://www.comunitee.com. Here is a fun fact on how the name came to be: Comunitee [ kuh-myoo-ni-tee ] – A Comunitee is a group of individuals that discover, share, and explore specific news topics and breaking current events. The word Comunitee comes from the words community and committee.